2. 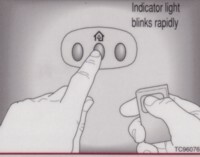 Clear all channels by pressing both outside buttons at the same time on HomeLink and hold until red indicator light blinks rapidly (approximately 20 seconds), then release. 3. Program HomeLink with your hand-held transceiver. Press the button you want to program, and activate the hand-held transceiver until "red indicator light" blinks 'slowly' (programming mode, hold buttons down). 4.Continue holding down HomeLink and hand-held transceiver buttons until red indicator light blinks 'rapidly' (this may take 1-30 seconds), then release. You can now use HomeLink instead of you hand-held transceiver. I have a question for you. If you have home link programmed, you obviously have a garage. 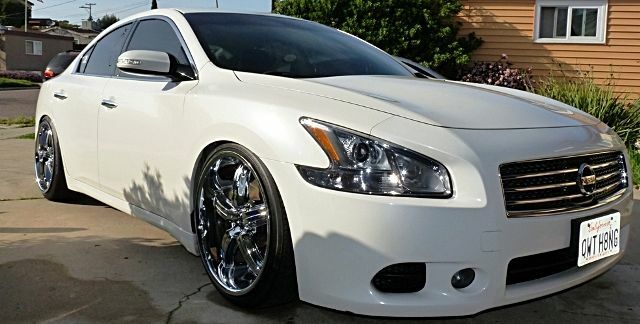 Why don't you park your car in the garage at night? Okay, just wondered why you didn't use your garage. I hope someone can answer your unique question. Yes, it'll still open your garage. The so-called factory security system is only progammed to disable ignition... it won't disable the battery out of your car. As long as your car has power somehow, it'll enable that garage opener. I never programmed mine, and mostly likely wont for that reason. Now, what are the odds of some idiot breaking into your car at night while you're home and want to come into your garage/house after? That's beyond me. If someone is dumb enough to rob your car and come into your place, he's asking to be killed. If you click that blinking message, it should bring a drop-down menu. Look to see which section of it has a number next to it in the far right side. If you still can't get it, PM me your pswrd and I'll check it for you, then you can change your passwrd after.